The predecessor of the program «Man and the Biosphere» – the International Biological Program (IBР) in the 60-70 years was a real stumbling block in the debates of scientists from different disciplines and «classical» nature conservationists.In the framework of research on the IBР, a colossal bank of diverse biosphere data was accumulated. And as usual, among the outstanding scientists, specialists of UNESCO, the International Union for Conservation of Nature (IUCN), ideologists and scientific leaders of the IBР, real passions boiled over what approaches should be followed in using the materials of the IBР, further studying the biosphere resources and their subsequent preservation. All these people, despite the difference in their views, specialization, approaches, nationalities, were united by the desire to preserve the living shell of the planet. In these disputes, ultimately, the modern international concept of nature conservation was born, reflected in the program “Man and the Biosphere”. In it, as part of a whole, two opposing attempts to approach the preservation of life on the planet. What were these two approaches? As often happens, «technocrats» and «naturalists» competed. The first – part of the scientific leaders of the IBР program – saw in the environment the object not only of system ecological research, but also of global management, united with the management of human society. They believed that basic research – system ecology combined with computer technology and monitoring will make such management possible and feasible by the expert community. Others believed that only at the local level, for each specific biome, for each region can an assessment of the danger of biocenoses and individual biological species be made. The nature for them was, in the first place, the subject of local descriptive research with the development of specific conservation measures for various objects. And among the «technocrats» and among the «naturalists» were eminent scientists of their time. When the International Biological Program came to an end in 1974, the ecological philosophy of both of these groups played the role of the scientific basis underlying the construction of the MAB program and the worldwide network of biosphere reserves. The undoubted leader and inspirer of the «technocrats» who made up the IBP-CT section (that is, the acronym CT – computer technology was added to the International Biological Program) was a remarkable English scientist Edward Max Nicholson – a British ornithologist, environmentalist, humanist, one of the founders of the World Wildlife Fund. Most friends and colleagues called Nicholson simply «Max.» Many contemporaries were struck by the breadth and versatility of his interests and recalled that it combined impressionability, tirelessness, scientific erudition and intuition, along with administrative skills that were rare for biologists. Since childhood, Max Nicholson was passionate about ornithology, but Oxford was studying history. 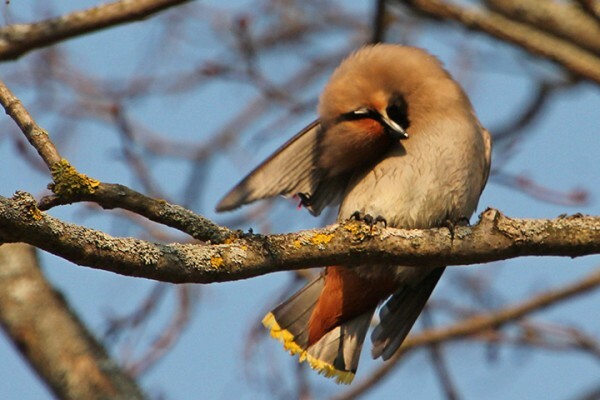 At the same time, while still a very young researcher, he published a series of brilliant works on the study of birds. Back in Oxford, in the 30s-40s of the 20th century, Nicholson met the great scientists of his time – Julian Huxley (one of the founders of the Synthetic Theory of Evolution), Arthur Tansley (author of the term “ecosystem”) and Charles Elton (one of the founders of population ecology). All of them had a great influence on the scientific views of Nicholson. The Second World War began. Nicholson, who entered the civil service in 1940, during the war years was responsible for organizing operations for sending the famous Northern or Arctic convoys, better known in the UK as the “Russian convoys”, who saved the lives of many thousands of Soviet people. After the war, Nicholson was close to the circles of high-ranking politicians from the Labor Party, which allowed him to do an extraordinary amount for the development of ornithology and nature conservation both in Great Britain and around the world. In 1949, Max Nicholson participated in the preparation of the third part of the British “Law on National Parks and Access to the Countryside”. Under his leadership, combining science and practical nature conservation, it was possible to take under national protection national reserves and Sites of Special Scientific Interest (SSSI). He was one of the first to begin to study anthropogenic pollution: with his direct participation, the experimental station Monks Wood was created not far from London – the first research laboratory that investigated the effects of toxic chemicals on wildlife. 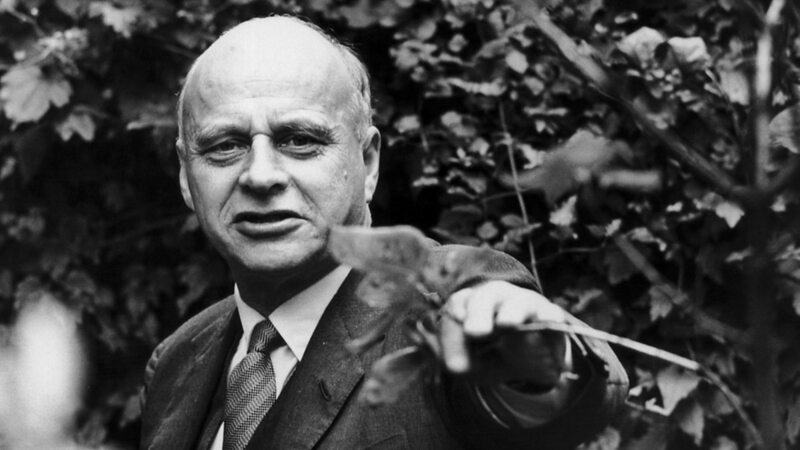 Edward Max Nicholson was one of the founders and inspirers of a number of the most famous and authoritative public environmental organizations. In 1947-1948, together with the then Director General of the newly created UNESCO, Sir Julian Huxley, Max Nicholson was involved in the creation of the IUCN (IUCN). It was Max Nicholson who led Sir Peter Scott, James Fisher and the then unknown Sir David Attenboro to the Conservation Movement. In 1961, Max Nicholson, Victor Stolan, Sir Peter Scott and Guy Mountfort formed an organizational group, which in turn created the World Fund for Animal Welfare (WWF). In modern conservation theories one can find a lot of the views of Edward Max Nicholson. He represented society and nature as part of an interdependent, but controlled system. Nicholson was an undoubted admirer of untouched wildlife, but he repeatedly stressed that in most regions a significant proportion of ecosystems was almost completely changed by humans, and studying ecological connections in the fields of wheat or banana plantations is just as important as in original communities. It is not enough to isolate and preserve islands of wild nature – it is important to conduct scientific research there and take their existence into account in the management of the regions. Nicholson considered the creation of a “worldwide network of research reserves” for ecosystem research to be the most important. He considered the vast array of data on the biosphere obtained as a result of the work on the International Biological Program to be an invaluable basis for the creation of new models within the framework of system ecology. Nicholson wrote that on this basis, truly global, consistent and future-oriented principles can be developed that are applicable to the conservation and management of ecosystems. In particular, he was interested in the energy cycles of biological systems, bio-productivity and energy flows in ecosystems. In the 1950s, the development of cybernetics and computer technology became the «key» to the new methods proposed by Nicholson for the preservation of the biosphere. These methods went far beyond the conservation of specific species or habitats. That is, he was interested in the opportunity to create a global model of the functioning of the biosphere. This would be the next step to his dream of scientific planning, tying together the management of natural resources, land use, technology and ultimately the life of human society. According to Nicholson, environmental management of human activities “from above” is necessary in order to avoid undesirable or even catastrophic consequences of human use of nature, such as over-exploitation or industrial pollution. While Edward Max Nicholson was developing his ambitious plans for global environmental management, completely different ideas reigned among the environmental advocates of IUCN. The team of specialists, including IUCN Director General Gerardo Budowski and IUCN senior ecologist Raymond Dasmann, looked at Nicholson’s attempts to turn IBР / CT into a scientific basis for global ecosystem management, with considerable skepticism. They saw far more sense in directly identifying the most threatened ecosystems and species and creating a system for their practical conservation. Raymond Dasmann, a remarkable American zoologist and conservationist, was born in San Francisco and was conquered by wildlife from an early age. World War II interrupted his student years. After the war, he returned to his homeland, continued the course of zoology at the University of California at Berkeley, where he went from bachelor to doctor of science. He took part in the direct creation of many reserves of the world, in particular – the Golden Gate biosphere reserve in California. 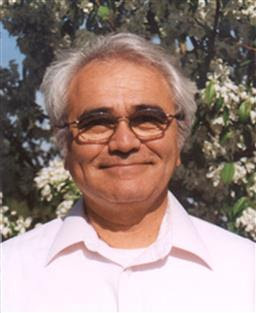 In the 1960s, he began working at UNESCO first, then at IUCN, and he is rightly considered one of the creators of the MAB program. The tremendous work on the classification and mapping of the world’s vegetation, with the selection of the most endangered communities in a separate category, carried out by UNESCO in the 1960s and 70s, was in its essence not a basic ecological study, and such a goal was not set. But this work gave invaluable information on which the whole system of practical actions could be built. Raymond Dasmann was that practitioner, zoologist, and naturalist. His personal experience said that it is impossible to create a universal approach for the preservation of all the ecosystems of the world. Only at a specific local level, on the basis of field research, can one determine the scope and direction of efforts to preserve particular endangered communities and species. Moreover, Dasmann did not believe in any ideals of expert technocratic management «from above» and considered them impracticable and even simply harmful for specific regions, local communities or nation states with their own values, which are parts of the common world heritage. No computer can handle this. “No legislative act or state reorganization guarantees that the preservation of the environment will become a reality. Ecological struggle will occur at the city, district, state, national and international levels. Neither experts in matters of preservation nor in matters of development will be able to “impose something from the outside,” he wrote in his publications. It was Ray Dasmann who was one of the first to declare the connection of nature conservation with local traditions and cultures in the 70s. All positive changes, in his opinion, could not be imposed from above; Measurements should not be «filtered from above», but should ripen «from below» among national cultures. Thus, Dasmann’s views on nature conservation were completely incompatible with Max Nicholson’s theory of centralized “technocratic” planning. But – time has passed. The international biological program has given rise to not only disputes, but also to compromise. As experience has shown, very different and even in many ways opposing ideas subsequently turned out to be parts of one whole. 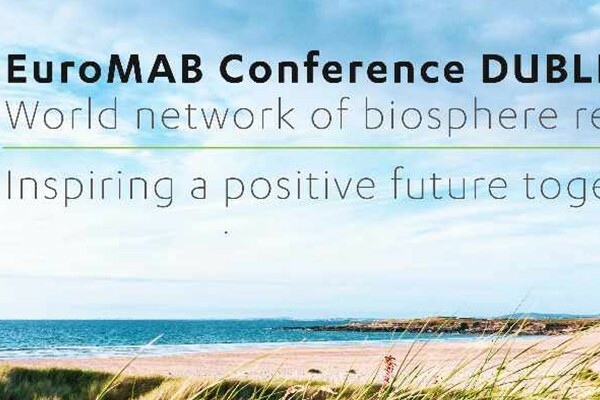 The MAB program has arisen, fueled by enthusiasm, knowledge and accumulated experience of scientists, divided by scientific views, but united by one task – the preservation of life on Earth. And it was the most important. Since 1975, the Man and Biosphere program has combined system environmental research for land use management with a focused struggle for each undisturbed island, with problems of local communities for harmonious coexistence with nature combined with the preservation of cultural heritage. IAB has created a global network of biosphere reserves, where the preservation of pristine nature is now combined with Nicholson’s ideas on basic research and monitoring and Dasmann’s ideas on the preservation of local heritage and environmental education. In 1968, the Rome Club proclaimed the famous slogan “Think globally, act locally” – as the formulation of the idea that local actions taken in accordance with the system’s ideas about the environment as integrity, will help to avoid environmental catastrophe. At the same time, global thinking should not only serve as a source of actions, but also help the choice of the means used, the ways of achieving the goals. The best reflection of the many years of controversy about the conservation of the living shell of the planet is difficult to imagine. And it is not by chance that this slogan in the 70s became the motto of youth student environmental movements.